Wormington, H.M. Prehistoric Indians of the Southwest. Denver. Denver Museum of Natural History. 1970. 191 pps. Octavo. Soft cover. Reprint. Illustrated. Near fine copy. Very light wear. Wormington, H.M. Prehistoric Indians of the Southwest. Denver. Denver Museum of Natural History. 1975. 191 pps. Octavo. Soft cover. Reprint. Illustrated. Near fine copy. Light soiling to cover. Worster, Donald. A Passion for Nature. 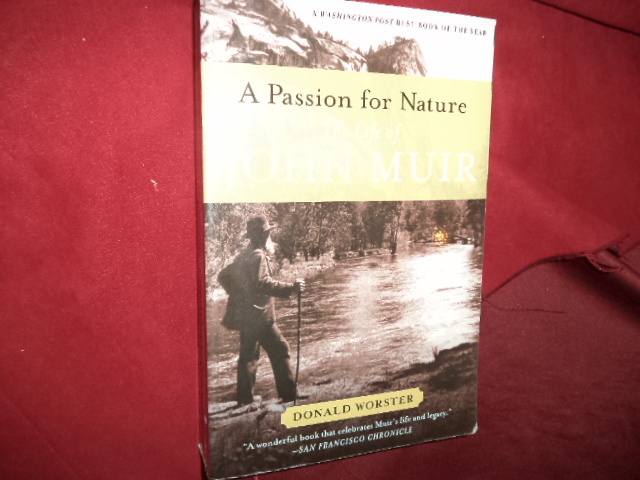 The Life of John Muir. Photo available. Oxford. Oxford University Press. 2008. 535 pps. Octavo. Soft cover. First edition thus. Illustrated. Important reference work. Fine copy. Worster, Donald. A River Running West. 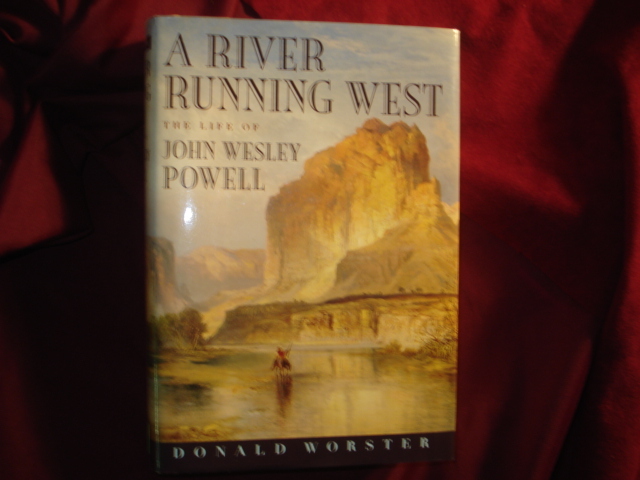 The Life of John Wesley Powell. Photo available. Oxford. Oxford University Press. 2001. Octavo. Hard cover. First edition. Illustrated. Fine copy in fine dust jacket (in mylar). Worster, Donald. Under Western Skies. 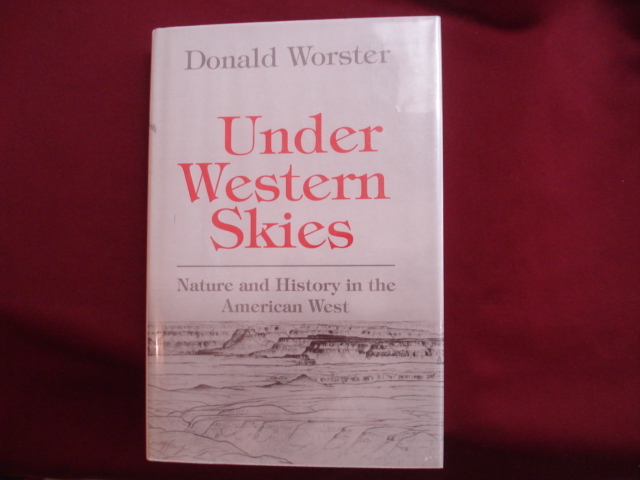 Nature and History in the American West. New York. Oxford University Press. 1992. Octavo. Hard cover. First edition. Fine copy in fine dust jacket (in mylar). Worster, Donald. Under Western Skies. Nature and History in the American West. Photo available. New York. Oxford University Press. 1992. Octavo. Hard cover. First edition. Fine copy in fine dust jacket (in mylar). Worster, Donald. Under Western Skies. 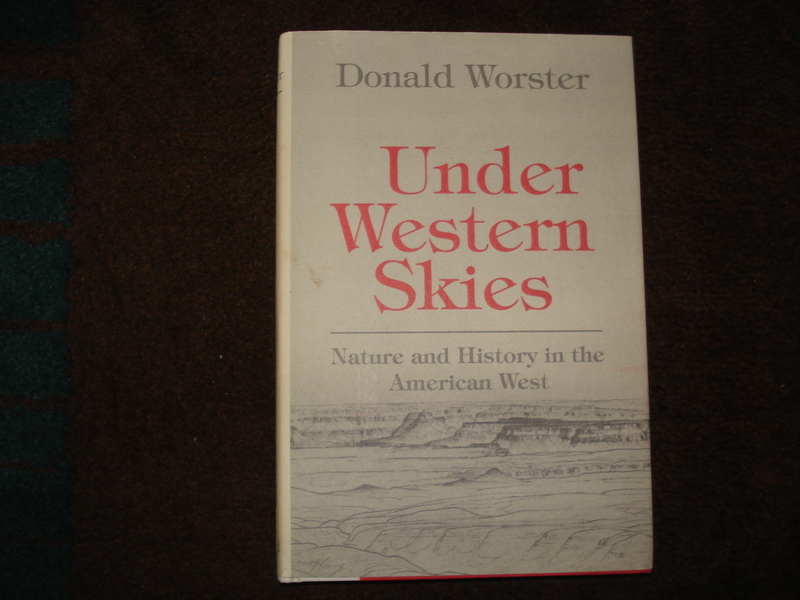 Nature and History in the American West. Photo available. New York. Oxford University Press. 1992. 292 pps. Octavo. Hard cover. First edition. Full number line. Important reference work. Fine copy in fine dust jacket (in mylar). Worster, Donald. Under Western Skies. Inscribed by the author. 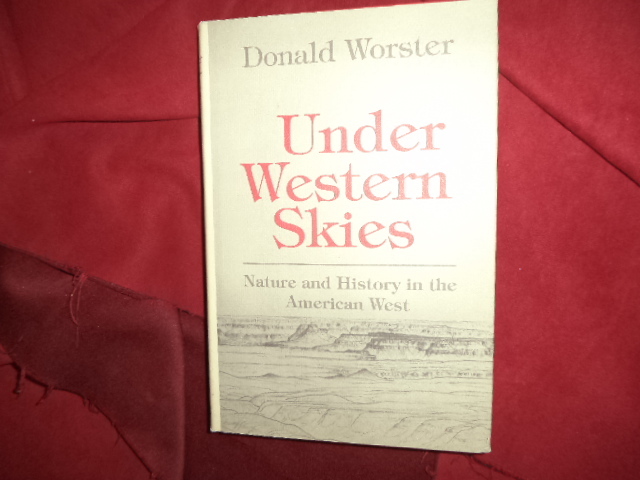 Nature and History in the American West. Photo available. New York. Oxford University Press. 1992. Octavo. Hard cover. First edition. Fine copy in fine dust jacket (in mylar). Wright, Barton. Hopi Kachinas. The Complete Guide to Collecting Kachina Dolls. Flagstaff. Northland Press. 1980. Octavo. Soft cover. Reprint. Illustrated in black, white and color. Very good copy. Light shelf wear, owner name on end paper. Wright, Barton. Hopi Kachinas. The Complete Guide to Collecting Kachina Dolls. Photo available. Flagstaff. Northland. 1991. Octavo. Soft cover. Reprint. Illustrated in black, white and color. Fine copy. Wright, Barton. Kachinas. 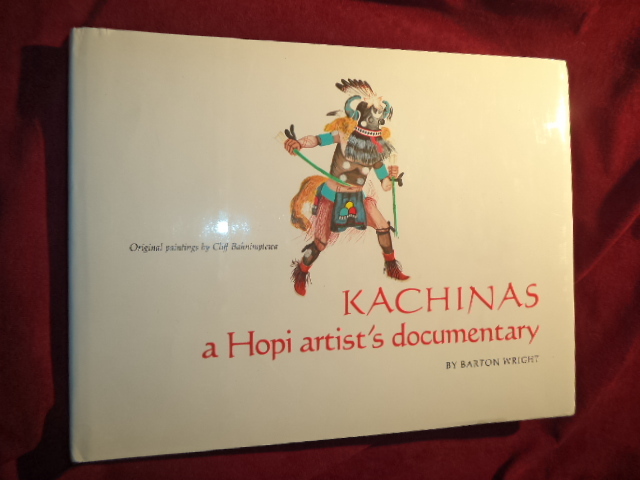 A Hopi Artist's Documentary. Photo available. Flagstaff. Northland. 1987. 262 pps. 4to. Hardcover. First edition, seventh printing. Illustrated in black, white and color by Cliff Bahnimptewa. Fine copy in fine dust jacket (in mylar). Wright, Barton. 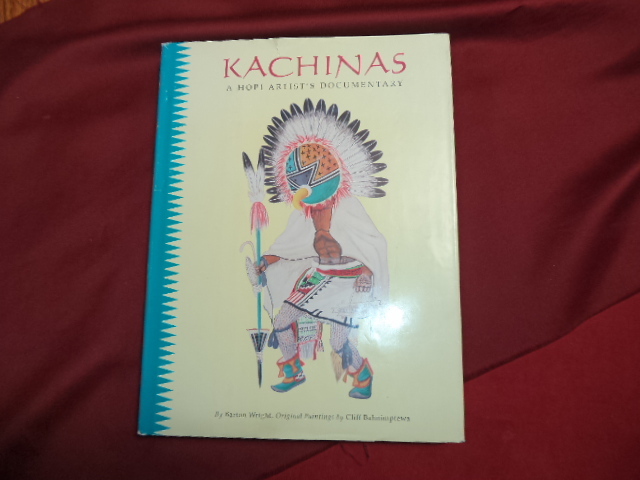 Kachinas. A Hopi Artist's Documentary. Photo available. Flagstaff. Northland Press. 1991. 262 pps. Octavo. Hardcover. Reprint. Illustrated in black, white and color by Cliff Bahnimptewa. Important reference work. Fine copy in fine dust jacket (in mylar). Wright, Judy. Claremont: A Pictorial History (California). Claremont. Claremont Historic Resources Center. 1980. 274 pps. 4to. Decorated hard cover. First edition. Illustrated. Fine copy. Wright, Peter and Ansel Adams. The Mural Project. Santa Barbara. Reverie Press. 1989. 113 pps. 4to. Hardcover. First edition. Photographs by Ansel Adams. Fine copy in fine dust jacket (in mylar). Wright, Peter and Ansel Adams. The Mural Project. Photo available. Santa Barbara. Reverie Press. 1989. 113 pps. 4to. Hardcover. First edition. Photographs by Ansel Adams. Fine copy in fine dust jacket (in mylar). 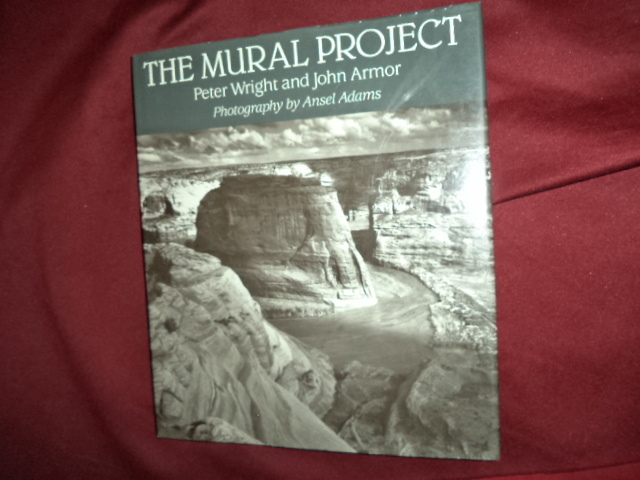 Wright, Peter and Ansel Adams. The Mural Project. Photo available. Santa Barbara. Reverie Press. 1989. 113 pps. 4to. Hardcover. Stated first edition. Photographs by Ansel Adams. Fine (owner name on end paper) copy in fine dust jacket (in mylar). Wrigley, Richard. Ansel Adams. Images of the American West. Greenwich. Smithmark. 1992. 43 pps. 4to. Hardcover. First edition. Illustrated. Fine copy in fine dust jacket (in mylar). Wroth, William (ed). 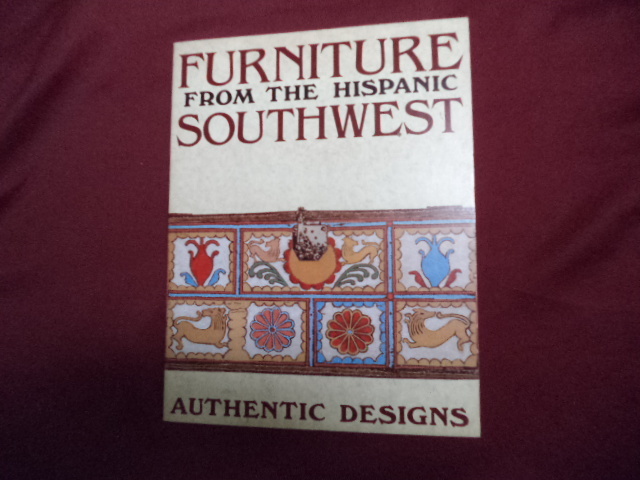 Furniture from the Hispanic Southwest. Photo available. Santa Fe. Ancient City Press. 1984. 4to. Soft cover. Stated first edition. Illustrated. Important reference work. Fine copy. Wyckoff, Bob & The Union. 3 Volume Set. Collector's Edition. 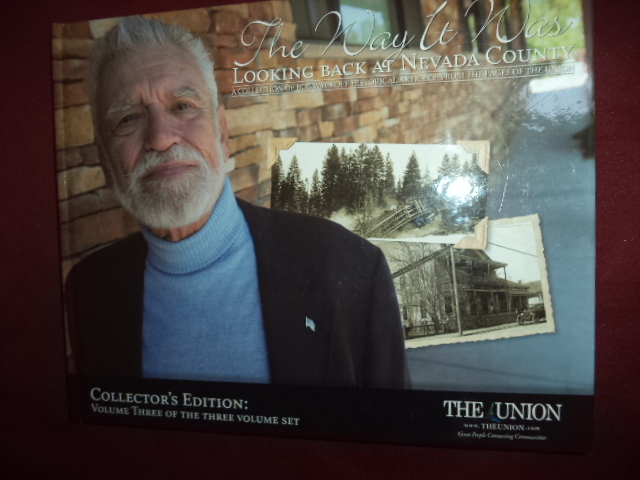 The Way It Was, Nevada County Memories, Nevada County Historic Photo Album. 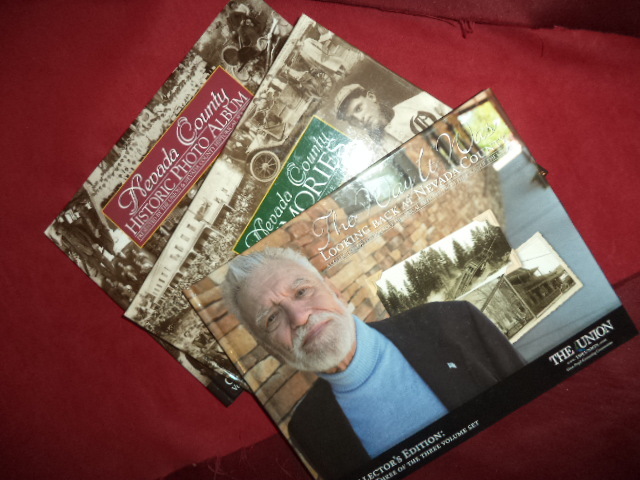 County History. Photo available. Grass Valley. The Union. 2001-2007. 4to. Decorated hard covers. First editions. Illustrated. Important reference work. Three volumes. Scarce. Fine set. Wyckoff, Bob. The Way It Was. Looking Back at Nevada County. Inscribed by the author. 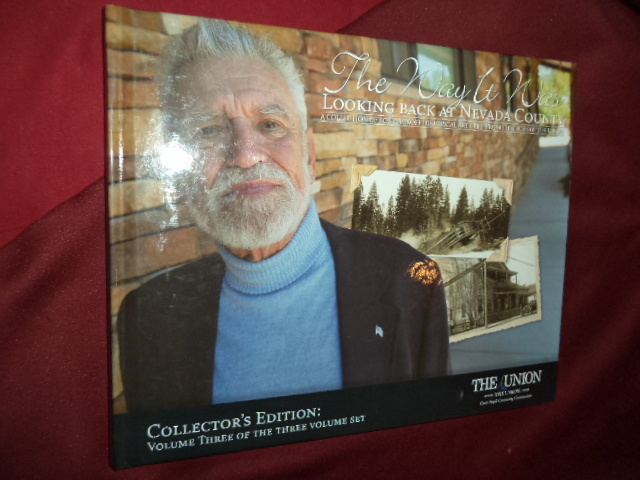 A Collection of Bob Wyckoff Historical Articles: From The Pages of The Union. Photo available. Grass Valley. The Union. 2007. 4to. Decorated hard cover. First edition. Illustrated. Important reference work. Inscribed by the author "For Eric Robinson Happy History! Best regards, Bob Wyckoff Aug. 7, 2008". Fine copy. Wyckoff, Bob. The Way It Was. Looking Back at Nevada County. Inscribed by the author. A Collection of Bob Wyckoff Historical Articles: From The Pages of The Union. Photo available. Grass Valley. The Union. 2007. 4to. Decorated hard cover. First edition. Illustrated. Important reference work. Inscribed by the author "12-20-07 Thanks for your business in 2007. We look forward to helping grow your company in 2008 and beyond! Hope you enjoy this look back in time. Best Always, J". Fine copy. Wyckoff, James. Famous Guns That Won the West. Pioneer Guns from the Kentucky Flintlock and the Plains Rifle to the Colt and Winchester. Photo available. New York. Arco Publishing. 1968. Octavo. Hardcover. First edition. Illustrated in black, white and color. Important reference work. Fine copy in fine dust jacket (in mylar). Wyckoff, William. Creating Colorado. The Making of a Western American Landscape, 1860-1940. New Haven. Yale University Press. 1999. Octavo. Hard cover. First edition. Illustrated. Fine copy in fine dust jacket (in mylar).